Ideally situated on the hill overlooking "Kata Beach". The Orchidacea Resort offers maximum comfort accommodations in the peaceful and natural surroundings of exotic plant life, swaying palm trees and beautiful tropical flowers. 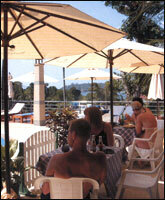 You have only a 3 minutes walk to the crystal blue andaman sea and the white sandy beaches of Kata. 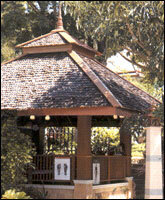 It is only a 5 minutes-walk to the lovely Kata Village Centre. 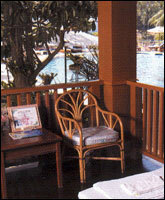 Patong is a mere 15 minutes drive, Phuket town 25 minutes and 50 minutes drive to Phuket International Airport. Standard Room : Comes with twin beds or one double bed, an incredible sea view from a private balcony, Hot & Cold Shower, Hair Dryer, Mini-Bar, a Tea and Coffee Maker, Satellite TV and IDD Telephone. Spacious room 30 square meter inclusive balcony. Superior Room : Newly renovated and spacious, this room comes with twin beds or one double bed, an amazing sea view from a private balcony, Hot & Cold Shower, Hair Dryer, Mini-Bar, a Tea and Coffee Maker, Satellite TV and IDD Telephone. Spacious room 35 square meter inclusive balcony. Deluxe Room : Located in our newest building, this room features Double Bed or Twin Bed rooms with an in-room sitting area. Connecting rooms are available upon request. Deluxe rooms come with a spectacular view of the swimming pool and the sea or choice of garden view from a large, private balcony. This room also includes an in-room safety deposit box, Hot & Cold Shower, Hair Dryer, Mini-Bar, a Tea and Coffee Maker, Satellite TV and IDD Telephone. Spacious room 38 square meter inclusive balcony. Premier Suite : The newest and most luxurios sea view suite has a wooden floor and contains 1 bedroom with a king-size bed, a separate living-room, ensuite with shower and separate bathroom, cold & hot water and baht tub. The room comes with teak wood furniture, a personal in-room safety deposit box, Hair Dryer, Mini-bar, a Tea and Coffee Maker, Satellite TV and IDD Telephone and a Large, private balcony. Spacious room 55 square meter inclusive balcony.